NEED: Provide a church and community development facility for growing congregations in Honduras. DESCRIPTION: Honduras 100 PLUS is an initiative to partner with congregations throughout Honduras to help provide church facilities. 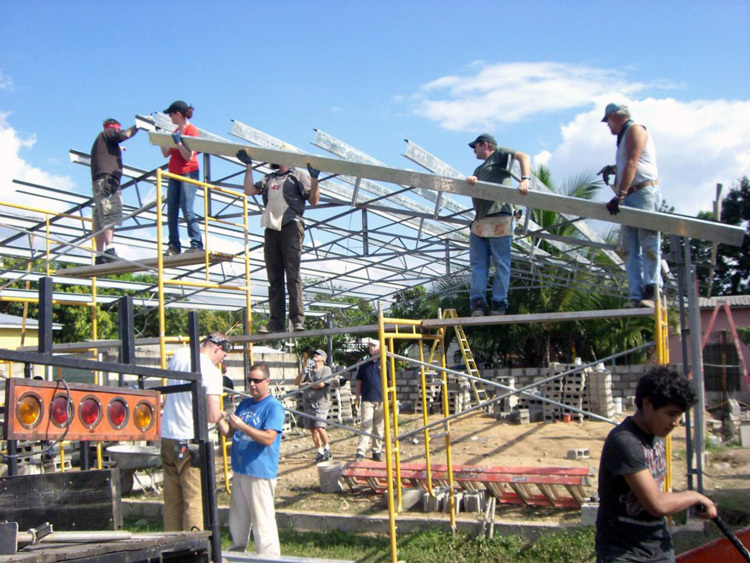 BENEFITS: More than 100 churches have been built since 2005 throughout Honduras. 100 PLUS continues to focus on church planting projects. We partner with local congregations to build a 36x50 structure. The Honduran church purchases the land and does the finish work. These facilities enable the church to thrive in their community with outreaches to help children and the elderly, by providing food pantries, after-school child care, and feeding programs. Pictured is Church #115 in Honduras at the dedication service. Thank you, Great Lakes Church, Kenosha, WI and Word Of Life International Church, Springfield, VA for all of your help on this new church! Church #114 has been completed! Church #114 has been completed in Jocon, Yoro, Honduras! Thank you, Team Wisconsin for volunteering! Iglesia Manantial de Aguas Vivas (Springs of Living Water Church), Dos Caminos #113 which was built just in November 2018 posted some pictures of them teaching the children about missions and reaching the world with the gospel. Imagine the possibilities! This is why we do what we do. Church #113 has been built! 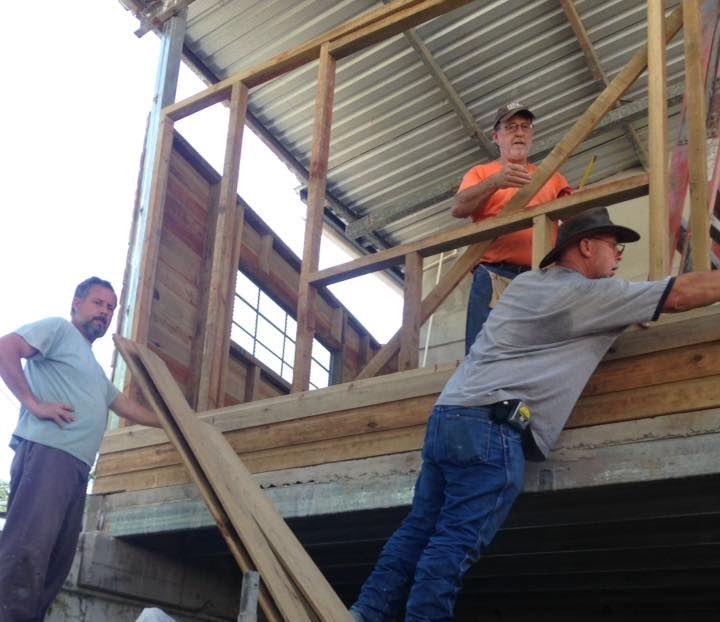 The team from Whitney Lane Worship Center in Arkansas helped complete church #113 in Honduras! Church #110 has been completed in Honduras! Thank you to Glad Tidings Assembly in Lake Charles, Louisiana for your help! God gave Pastor Santos Tercer a vision and showed him that many souls would be added to the kingdom through his ministry in the tiny, remote town of Bambu, Honduras. He held tight to that vision, but after a while he began to feel so discouraged that he almost gave up, as he could see no way to make this vision a reality. That’s when Builders International missionary Brad Foltz approached Pastor Santos about building a church through Honduras 100 PLUS! In that moment, God confirmed His vision to this pastor, and this new church building was the fresh start he needed. Pastor Santos cried with joy and thanked God for answering his prayers! God is providing miracle after miracle in the town of Bambu. Brad and Shelly Foltz recently led several teams to Honduras. The team that built church #108 in Bambu was from five different churches throughout Virginia and West Virginia, including Falls Assembly, Trinity Assembly, Antioch Baptist, Grace Church, and Kirby Assembly. The next team from C3 Church in Pickerington, Ohio, built church #109 in Lepaera, Honduras. This church will be a vital meeting location for other churches and pastors in that area. One hundred nine! That is the total number of churches built throughout Honduras so far, as a part of the Honduras 100 PLUS initiative. It began with the goal of building 100 churches, but didn’t stop there! That number is increasing at a rapid rate, as is the number of souls saved and lives transformed throughout Honduras! Brad and Shelly have been instrumental in this great accomplishment. The result is 109 places where people find hope! We're only a couple weeks into the new year and teams have already been making a difference in Honduras! Wow we got 100 churches built in Honduras All for the Glory of GOD. May of 2016 we hosted a all ladied team from the potomac dist. They built the last church out of the 100 and the very next week started the plus by building another church in a different part of the country. The foundation for church #98 is going in now! Church #100 will be complete in May 2016. Thanks to all the churches and teams who have helped make this possible! Foundation is ready and a team will be down next week working with Brad to build #95 of Honduras 100! In April church number 93 was built by Generations church in Tallahassee. number 94 is planned for July. if you would like another way to stay in touch or to see more pics of this project like Honduras100 on face book. Brad is getting ready to head to Honduras to host the first 3 teams of 2015! Just 11 churches until we reach 100! Praise the Lord! Thank you to all the teams that came down this year to build a church and be Gods hands and feet. Nov. marked the month that number 89 was finished. only 11 more to go. The end of jan 2015 we will start number 90 and buy the end of feb number 92 will be done. all for the glory of God. please pray for pastor Yojan as he puts the foundations in for the teams coming in feb.
2015 is almost full get your dates now!!!!!!! we have churches 90,91,92,93,94 spoken for for 2015. We are almost done with the 100 churches come be apart of this before its gone. get your team dates now we will finish soon. Number 89 will be built nov 1st by Glad Tidings church from lake charles. number 86 was built by the men at Falls A/G in march of 2014. number 87 and 88 will be built in june. Knee length shorts, shirts with sleeves. Modest. Pants for guys, pants or skirts for girls. Modest. The foundation will be finished before the team arrives. Will start first day standing the steel up and putting on the roof. Various excursions are available. Cost can vary.